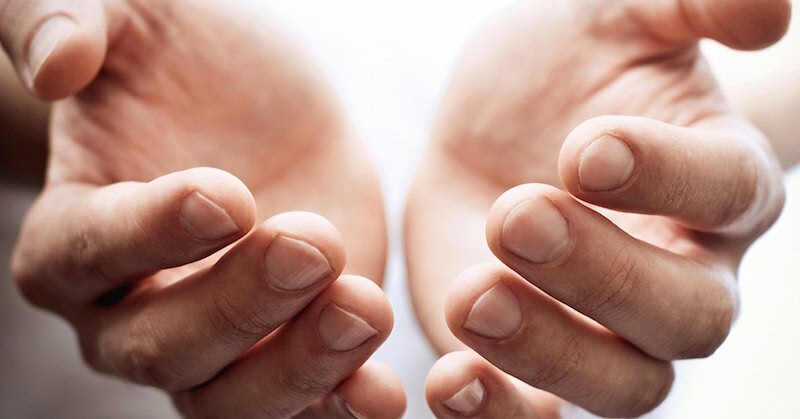 Like many other parts of our body, our hands can also reveal a lot about our health. 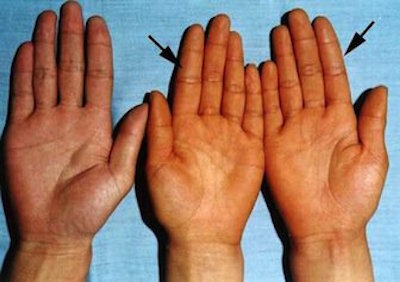 Certain health conditions can be detected by learning what your hands show regarding your health. From fingers to nails and palms, it’s important to be aware of any changes since your health might be linked to them. 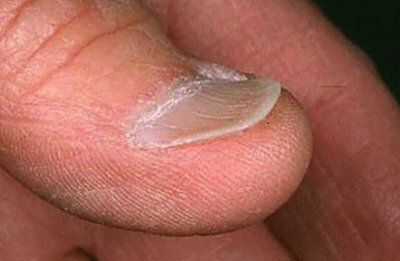 If you experience sweaty palms, cold hands or dry skin, it could mean a lot more than you think. Read on to find out what your hands are trying to tell you. 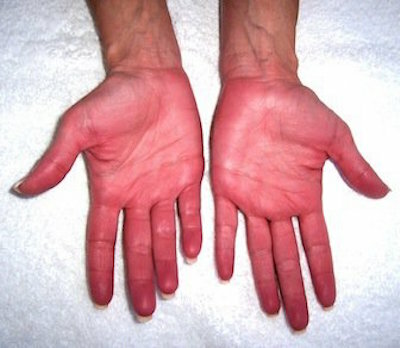 Kidney disease, rheumatoid arthritis, cancer, liver disease, poor circulation, thyroid problems, and even eating too many carrots or beets can affect the appearance of the palms, from color to texture to size. 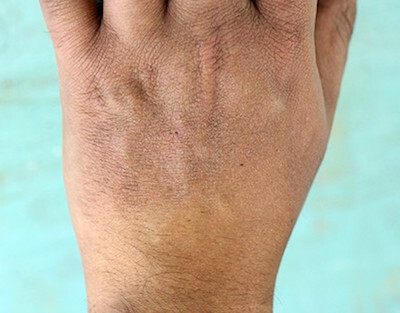 A yellow hand could be a sign of a liver problem. It has also been linked to hypothyroidism, diabetes mellitus, anorexia nervosa, liver disease, and renal disease. As healthy as carrots are, eating too many of them can make your skin look orange or a yellowish color from excess beta carotene (synthesized to vitamin A in your body). This condition is totally harmless. Other dietary sources of carotenoids include squash, sweet potatoes, pumpkins, spinach, beans, corn, and yams. 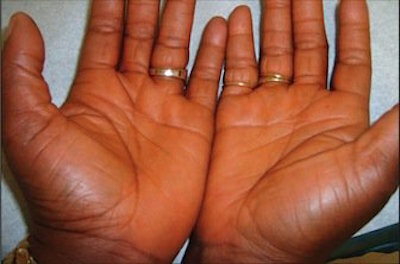 This is an orange-red discoloration of the skin and is the result of excessive intake of red foods like tomatoes, beetroots, chili beans, and red fruit. The redness is more prominent on the outer edge of the palms, from the wrist to the little finger. The redness is believed to be caused by blood vessels dilating from hormone imbalance caused by liver disease. To learn more about keeping your liver healthy and for a natural solution, read about foods that support liver health, and how to detoxify your liver with beetroots. 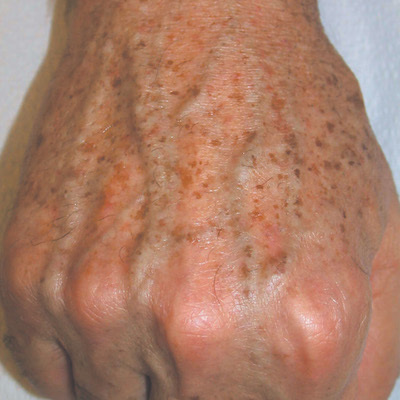 The redness is caused by inflammation, the biggest factor in this disease. For the best foods for relieving rheumatoid arthritis, check this out: Eat foods that relieve arthritis pain and juices that relieve arthritis inflammation. If your skin is frequently dry, itchy or burning, sometimes with cracking, flaking, or peeling of the outer layer of skin, it could be a sign of eczema. Learn more about vitamin B12 deficiency and how you can raise your B12 levels. 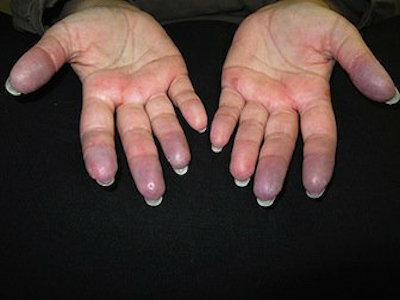 Spoon nails could be a result of anemia—if a dip is visible in the middle it can indicate an iron deficiency. To help increase your iron intake, check out these juices. Check out the full article at positivemed.com. Republished with permission.